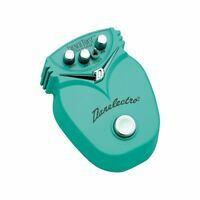 Digitech Whammy Ricochet Pitch Shift Guitar Effects Pedal! Truly a completely different experience when using with drive pedals. It sounds better and feels better when using batteries. I was skeptical at until I tried it. 100% true believer of batteries sound better with drive pedals.